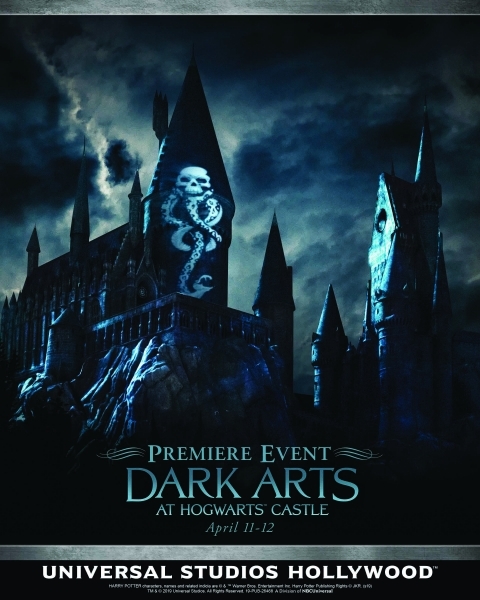 Universal Studios Hollywood revealed that a special two-day premiere event for the upcoming Dark Arts at Hogwarts Castle display right before the official opening on Saturday, April 13. On Thursday, April 11 and Friday, April 12, 2019, fans can purchase tickets for the chance to see an early preview of the light show in Los Angeles, which will also include after-hours access to the Wizarding World of Harry Potter, the rides, and an array of catered food for the festivities. Tickets are available now here.